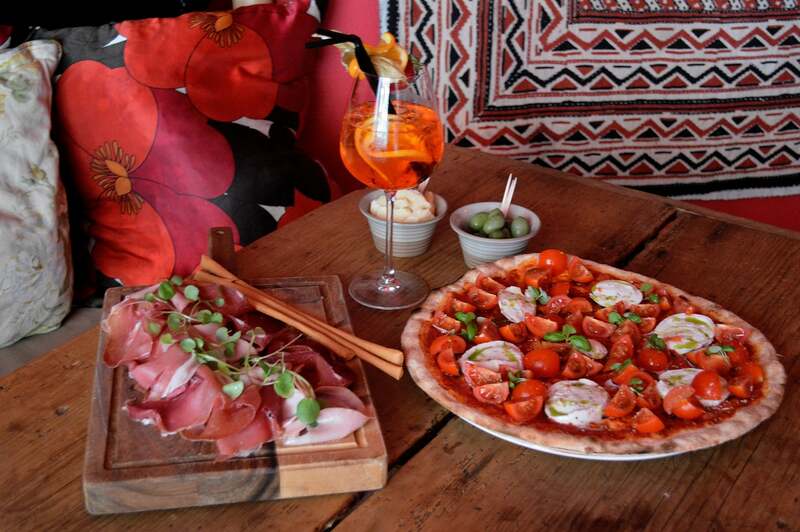 A cosy place to meet up for an Italian aperitif or host a private party. The cafe sells our own wine, Extra Virgin olive oil, balsamic vinegar and homemade Cantuccini. For private bookings or to arrange outside catering, please email us. Click here to download the Cafe/Pizza Menu.